Little Mountain Gallery is holding a fundraising art auction running the weekend of November 12th to the 14th. The works of several local artists will be up on the auction block and all proceeds go towards saving LMG. Opening Reception: Friday, November 12th from 6:00 p.m. to 10:00 p.m. 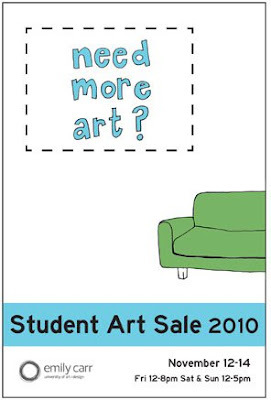 The Emily Carr Student Art Sale begins tomorrow! 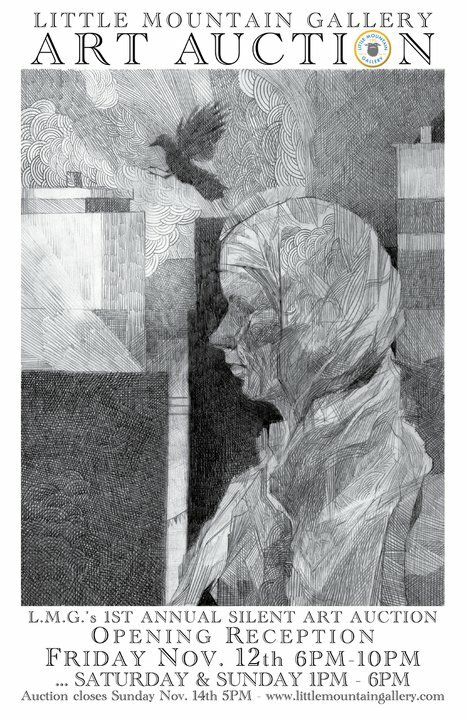 Choose from a wide selection of original paintings, photographs, drawings, prints, ceramics, sculpture, wearable works and more. This is your opportunity to purchase creations from Emily Carr's up-and-coming artists and designers. Date / Time: Friday, November 12th from Noon to 8:00 p.m., Saturday, November 13th and Sunday, November 14th from Noon to 5:00 p.m. The Capilano University Textile Art Sale is happening this month too!